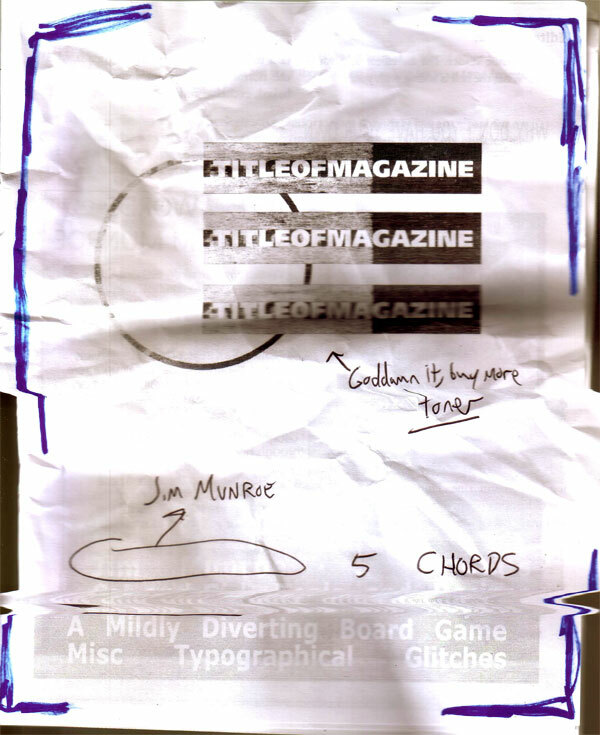 The first print issue of Title of Magazine is printed and will be haphazardly distributed in the next two weeks. Expect a redesign of this website as well in the coming weeks, shifting away from our blog origins to more of a support site and distribution hub for the more tangible incarnations of TITLE. WANT A COPY? Email us. TitleofMagazine -a-t- GMail If you live in the NYC area, we can probably arrange some sort of hand-to-hand or improvised cache delivery method. If you’re elsewhere, I might ask for a buck via post or PayPal or something to cover shipping. If you see it around town, it should be available for free. WANT IT DIGITAL? Here’s a crappy PDF version. More suitable versions (PDF, MOBI, etc) coming soon, along with a HTML version for easy browsing. WANT TO PRINT IT YOURSELF? Awesome. Give me a minute and I’ll have it up with instructions on printing it out properly. Here’s the InDesign file if you’ve got CS6: TITLE1.indd Feel free to redistribute (non-commercially) as you see fit. GODDAMN IT, JUST GIVE ME THE BOARD GAME! Here you go. Awkwardly resized to US Letter for easy printing/barroom disposability.